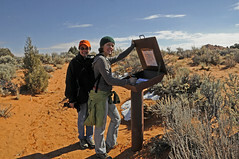 Here is a view of the Toadstool Hoodoo located 0.8 miles off of Highway 89 between Kanab, Utah and Page, Arizona. 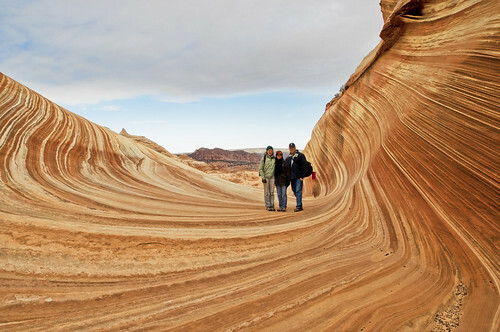 This is the classic view of "The Wave" on the Utah-Arizona border. The natural formation was incredibly beautiful and I just hope my photography does it justice. 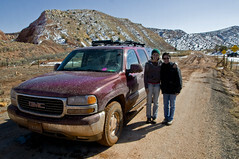 To get here you need a BLM permit, drive a very muddy dirt road for 8 miles, and hike 3 miles. The sight was well worth the effort! 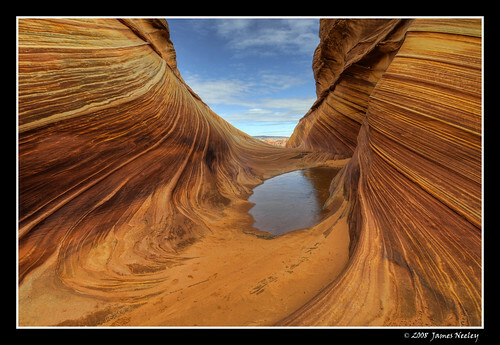 Another take on this interesting geological structure. The pool was frozen when we arrived about 9:45 a.m. and still frozen when we left a couple of hours later.